I'mmmm back! Holiday break is over, and I'm ready to start this new year! If you follow my Instagram page you will have read about my nail breaks. I filed the others down a bit, but the two breaks were pretty low (I'm talking down to the quick), and I wasn't about to cut the others that short. I was pretty self-conscious about the mismatched nails, so I wasn't taking any photos of my nails. But one of my New Year's resolutions was to not live my life staged, and well... everyone breaks a nail. I still have some photos that I took previously, so I'm going to get through those before getting to the more recent ones. And now... to the polish! 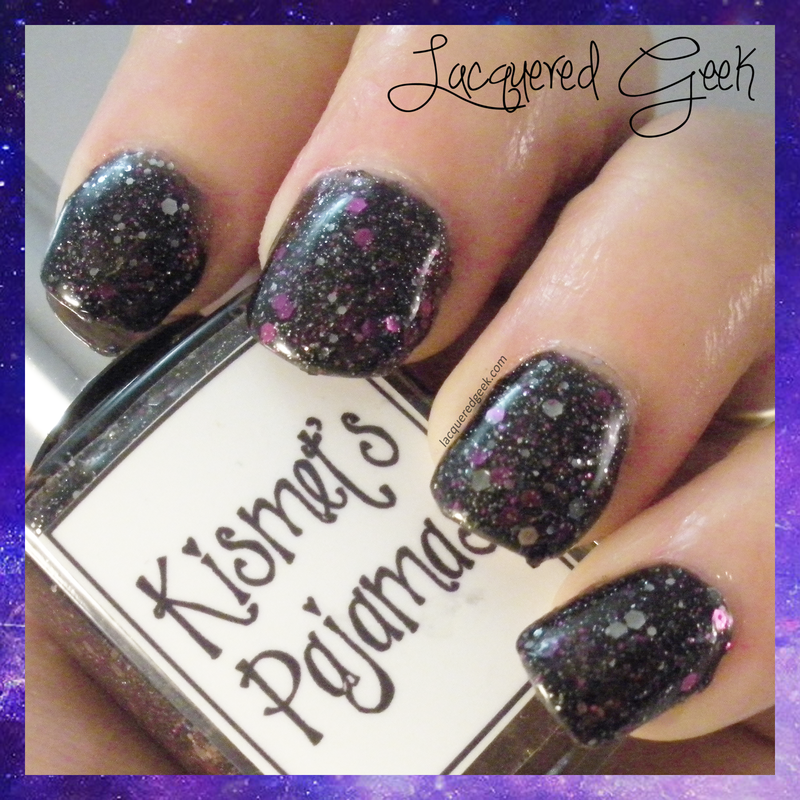 Kismet's Pajamas from Whimsical Ideas by Pam is named after her kitty, Kismet. It has a black jelly base, and is full of purple and silver glitters in various sizes. I loved the color combination! 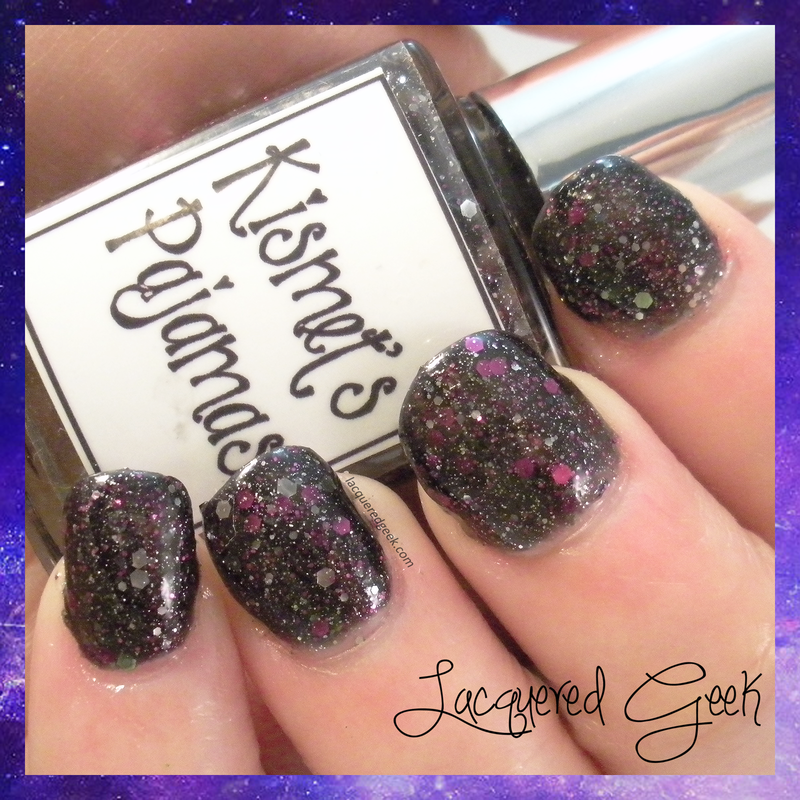 The glitters softened the black so that even those people who hate black polish would like it! The formula was outstanding on it; even though it was chocked full of glitters, it wasn't too thick. Pam's polishes can only be ordered by emailing her, so definitely head over to her Facebook page for more information (and photos of all the lovely Whimsies available). There's quite a few that I want to order soon! 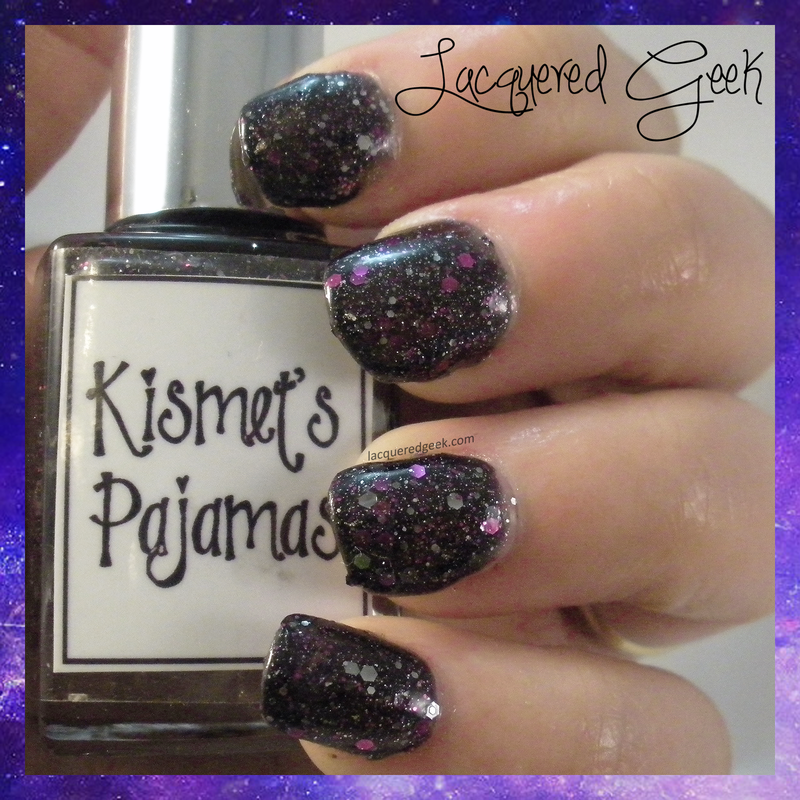 So what do you think of this polish?